We value a high degree of personal interaction and alignment of interests. 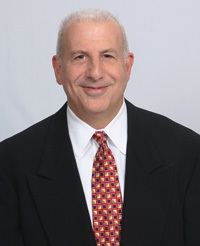 Larry Katz has a Bachelor’s Degree in Electrical Engineering (a major in computers and automation), and an MBA in Business and Finance with honors. Larry first entered the securities industry in 1967; his career includes areas of concentration in financial planning, financial advisory, insurance, portfolio management and stock and bond research. Larry has lectured nationally on investment research. He also participated as a consultant for projects and investigations by the Small Business Administration, the National Association of Securities Dealers, the Practicing Law Institute, and the U.S. Congress. 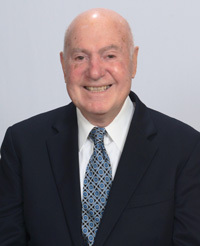 In 2003, Larry was elected alumnus of the year from Polytechnic University in Brooklyn, New York, for the engineering of the securities selection model that the Katz Family Firm employs. Sue Katz was a Finance Executive with 20 years of experience in diverse industries including manufacturing, financial services, insurance and high tech companies. Her most recent executive position was Global Finance Director for a billion dollar corporation. Several times in the past 30 years Sue has worked in the family business with Larry doing securities research. In the mid-80s Sue obtained her securities licensing. In 2004, she completed the UBS training courses and additional licensing. Sue has an MBA in Finance with honors from the University of Wisconsin. Mark Katz has 26 years experience in the Financial Services Industry. In 1989 he took part in Smith Barney’s training program and obtained his securities licensing. After four years of building his business he joined forces with Larry at PaineWebber. In 1998, Mark was recruited by the Banking industry as a Vice President and later became a Regional Sales Manager for General Electric’s Financial Advisors network. These positions have given Mark extensive experience in the banking, equity and insurance markets. Amanda Klug studied both biomedical engineering and business at the University of Rochester. She recently earned a degree in Interdisciplinary Studies with concentrations in Business and Psychology from Arizona State University with a perfect GPA and passed the securities advisors exam. Amanda has grown up within the company, she is Larry’s granddaughter. She interned for Katz Family Financial Advisors multiple times during the past 6 years. We have found that the investment process can be intimidating to the younger generation, this is one area Amanda will be focusing on, through both educational seminars and investment advising.